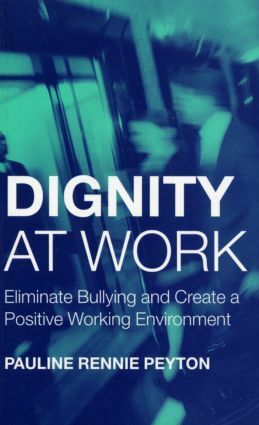 Bullying in the workplace is now a recognised problem, and a cause for major concern. Victims stand to lose their self-esteem, their health and even their careers. Organisations that do not endeavour to put an end to this behaviour lose productivity, profits and their good reputations. Bullying will no longer be tolerated, and organisations must create environments that do not support mistreatment. This book provides managers, Human Resources staff and professional counsellors with the skills required to be able to recognise when a problem exists, and deal with it effectively. Why is bullying an important issue?